Picking the best power tools when it comes to hand drills and impact drivers can be somewhat challenging. Here is a 2018 guide to making the right choice. 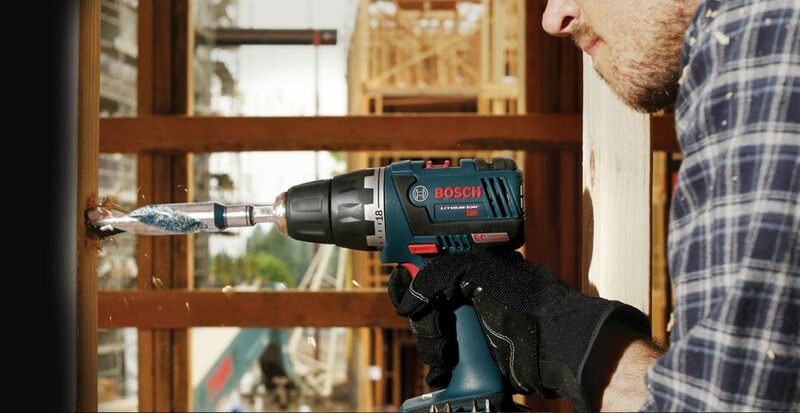 Do you depend on a hand drill or impact driver on a regular basis? For those who crave serious power tool performance, only the best will do. The type of power tools that you use can impact workmanship, efficiency, and your capability to complete a task successfully. Sifting through piles of reviews and reports to determine the best power tools on the market for 2018 can take up major time. And, for most of us, time is a luxury that’s isn’t always easy to come by. We know you’ve probably got other things you’d rather do. So, we’ve read and researched for you. 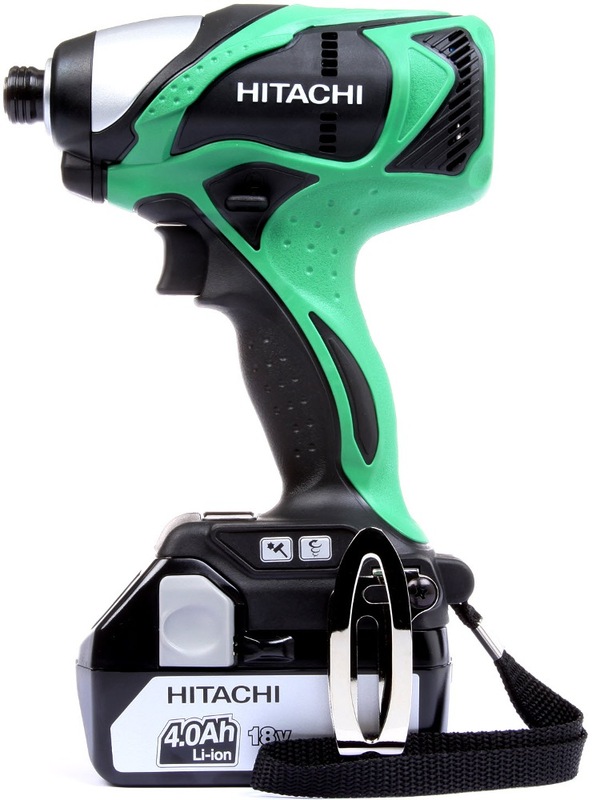 Want to know which hand drills and impact drivers made our list of today’s best power tools? Before investing in any new tools, you’ll want to read this post. We’re sharing pro-picks for best hand drills and impact drivers that money can buy! Many people in industries such as construction, automotive manufacturing, heating and air, and metal fabrication, rely on power tools to maintain competitive standards in their daily work routines. But, even if your tools are reserved for handiwork around the house, choosing the right one for the job can make all the difference. When deciding on the best power tools for you to buy, there are a couple of things to take into consideration. If you are rarely going to be needing the particular tool that you are looking to buy, then you might feel more comfortable buying a cheaper model. However, if you want the tool to last, despite how often it will be needed immediately, its advisable to look into the best power tools at a reasonable price. You might also consider what the tool will be used to do, including the materials it is made for and their condition. Cheaper tools are unlikely to sustain much wear and tear. Often you will be disappointed if you settle for a poorly crafted power tool. If you need it, the difference in price that you pay for the best power tools is often money well spent. The best power tools are made by well-known industry leaders who have established themselves in the market. Cutting corners is not recommended when purchasing tools. Your safety depends on the integrity of the manufacturing so it’s important that it doesn’t pose any dangers or create any hazards to yourself or others who might use the tool. Choosing reputable brands is one way to avoid safety risks. Many of these brands offer a warranty with their tools as a bonus precaution. There are several different strengths available when it comes to power tool batteries. The longer the battery life, the less often you will need to recharge. If you are using the tool for work purposes or extensive periods at a time, then you will want to invest in a tool with a longer lasting battery. One of the most useful resources when determining the best power tools to buy is often other people who have had experience using the type of tools that you are buying. You can ask friends or family members for their personal recommendations. Or, if you don’t have anyone who can offer a first-hand experience, it can help to consult online reviews and consumer guides. Usually, there are credible review sites that you can count on to deliver an honest and detailed review of the most popular brands and models. It is also advisable to check out the user-experience rating prior to purchasing your tool. Some tools are much more complicated than others. While there are also those that require little prior knowledge or practice. Of course, in the end, everyone is different and has their own opinion. The best way to know if a tool is right for you is to visit a store and check them out in person. Feeling the way a tool handles and the weight of it can help you make an informed decision. We’ve always loved Dewalt tools for always providing amazingly sturdy tools for our every need. However, their staggerinng range of power tools would make anyone confused to which one is best suited for them. Here we’ll look at the DCD791, a great tool for industrial use. 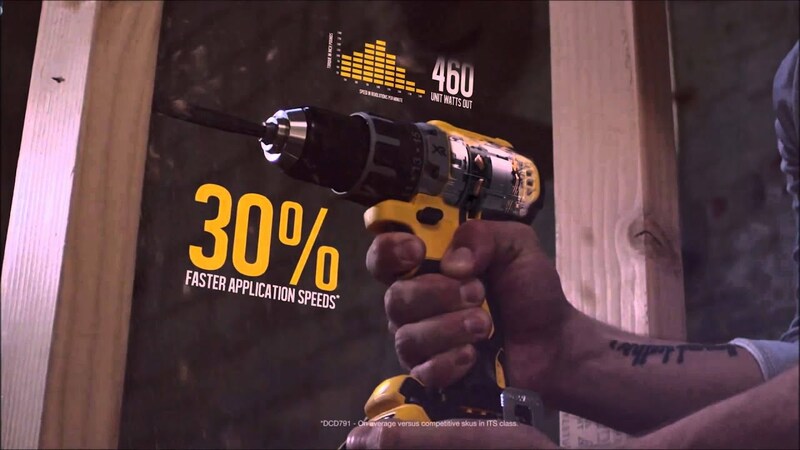 Improving upon their previous 20V range, Dewalt knocks it out the park again by further reducing the size of the tool, an amazing feat considering their previous models were already so compact. What’s more, they have even managed to increase the power output of the DCD791 to 430W (or 619.55lbs in torque), up from the previous 360W. This should result in a 30% increase in application speed for daily use! Finally, Dewalt has added a 60 lumen light to the front of the drill, a nice touch as you can now use the drill as a temporary flashlight if you’re working in low visibility environments. The new ‘spotlight feature’ allows just this by turning on the flashlight for 20 minutes at a time, saving us all from dragging along another flashlight and keeping light. Makita consistently delivers superior quality and above average rankings among reviewers. Highly regarded as a manufacturer of some of the best power tools on the modern-day market, this drill continues their winning streak. 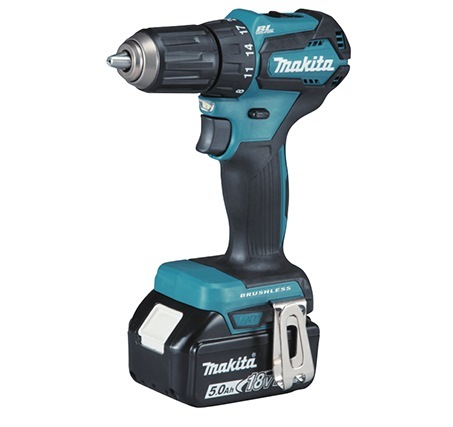 The Makita LI-ION Drill is powerful and well-balanced, with an ergonomic design and comfort grip that makes it easy to steady and maneuver. Plus, offering up to 480lbs of power, it does makes for speedy work! It reportedly scores points above the other brands in its class for its exceptional user experience and durability. At almost $500 dollars, it’s pricier than some of the others that made our list. But, we thought that the combination of close to perfect characteristics makes this drill well worth the money if you plan to use it often. This Milwaukee Brushless Drill is equipped with POWERSTATE motor, giving users ten times longer motor life and 25% more power. What’s more, It’s REDLINK PLUS intelligence system delivers the most advanced digital overload protection for tool and battery while enhancing tool performance under pressure. The REDLITHIUM-ION battery pack gives it up to two and a half times the run time, up to 20% more power, and up to two times the battery life. Its unique battery technology enables it to operate better down to -20 degrees Celsius than any other lithium-ion technology. There’s also an easy to read battery-life gauge so users aren’t caught off guard. This superpowered drill is packed with all kinds of extras, such as its’ ultra bright illumination, metal reversible clip, and a battery system that works interchangeably with other Milwaukee M18 batteries. 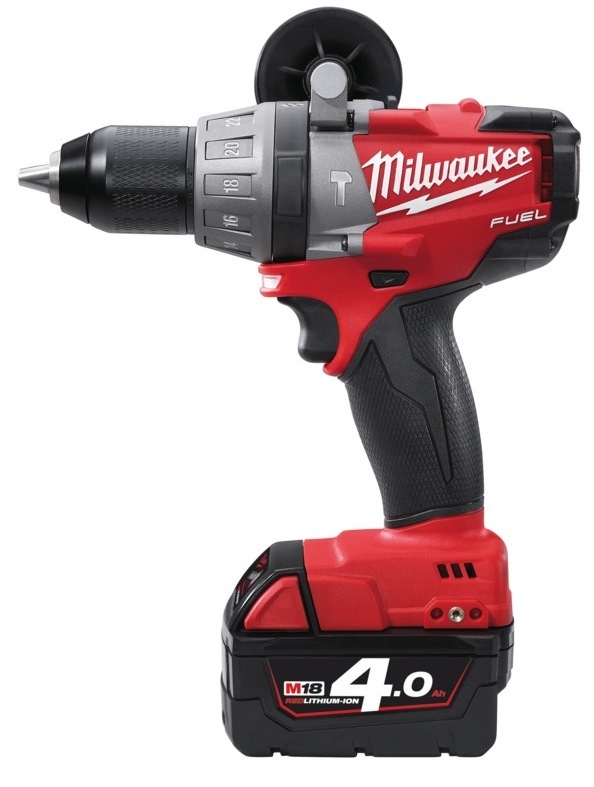 Milwaukee’s Brushless Drill combines power, technology, and performance for this must-have tool that should be on the list of every professional. This super efficient and maximum torque brushless motor works around 55% better than Hitachi’s conventional motor. It’s easily adjustable and has a variety of settings and device capabilities for extreme versatility. The slide lithium-ion combination battery and charger provides a longer-than-average runtime and requires just 45 minutes to an hour to charge to its full potential. Button placement on the took is logical and feels steady, with a grippy handle to ensure the tool stays in place when working. A belt clip also allows the user to hang the took on a belt easily. For its high price, it offers 4 levels of speed and 2 impact levels, perfect for the craftsman who requires fine control over their work. With its great run time and high power output, it is no slacker when it comes to work. It is capable of driving long, large-diameter lags and big wood screws without straining for power, making this tool an absolute workhorse as well. Stanley’s Drill Driver leads its class in drilling speed. It’s equipped with a powerful torque (26Nm) for screwing and drilling and 20 torque settings to give you exceptional control. It’s lightweight, handles easily, and comes with bonus features, such as a LED light and rubber handle, which makes it great for long-lasting jobs. The battery and charger system is durable and designed for minimal downtime. 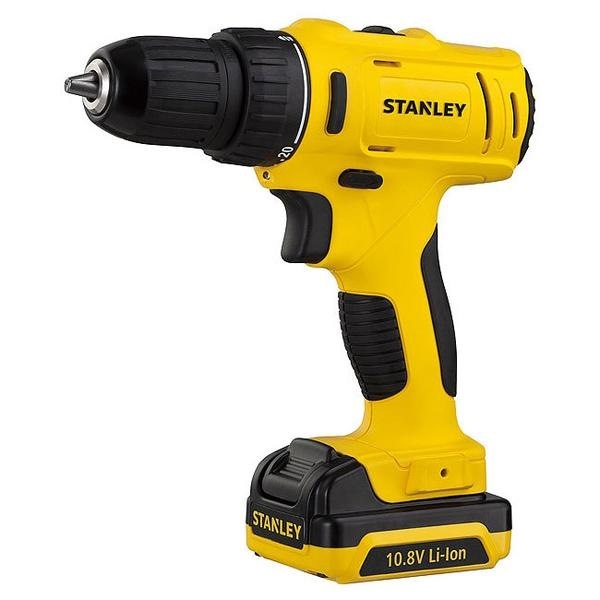 For the price, the Stanley Drill Driver offers an unbeatable value and plenty of perks for the everyday users who use it regularly but are unwilling to shell out large amounts of money for the top-of-the-line range of tools. Don’t let the size and voltage of this little guy fool you. 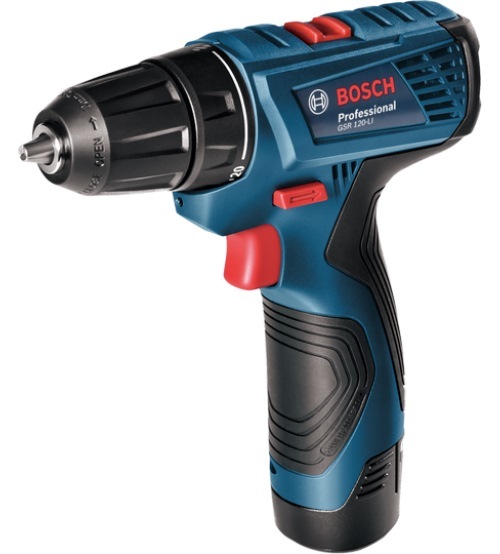 In reviews, the BOSCH 12-volt screwdriver holds its own against bigger models. The compact lightweight driver rises to meet lofty expectations you’d expect from the BOSCH brand name. It’s extra easy to handle, versatile, and offers a quick solution to working on the fly. While not recommended for heavy use like the Makita, it is useful for any day to day work. Its tiny form makes it perfect for light use and is easy to carry around! Perfect for the occasional touch up around home, at a unbeatable price. 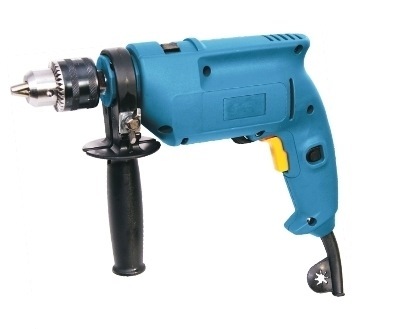 If you’re looking for simplicity at a super-low price, this Dong Cheng Impact Drill might be just what you need. It’s disc switching capability, easy operation, lightweight, and simple structure makes it a quick and functional go-to tool for even a novice. And, at 500 watts, it packs more power than it might appear. It’s lacking the sophistication and extras of some the models that display a more impressive package, full of bells and whistles. But, then again, it lacks the hefty price tag that most impact drills have attached to them as well, making it a viable tool for the users who only need it occasionally. We hope this list has helped you better understand your own needs for power tools and at the same time given you some options in each price bracket. Apart from the listed models, we offer a large range of other impact drivers and hand drills, come take a look at our hardware store!